I can’t even rave enough about this shoot right now..the colors, the model (my cousin!!!!!! 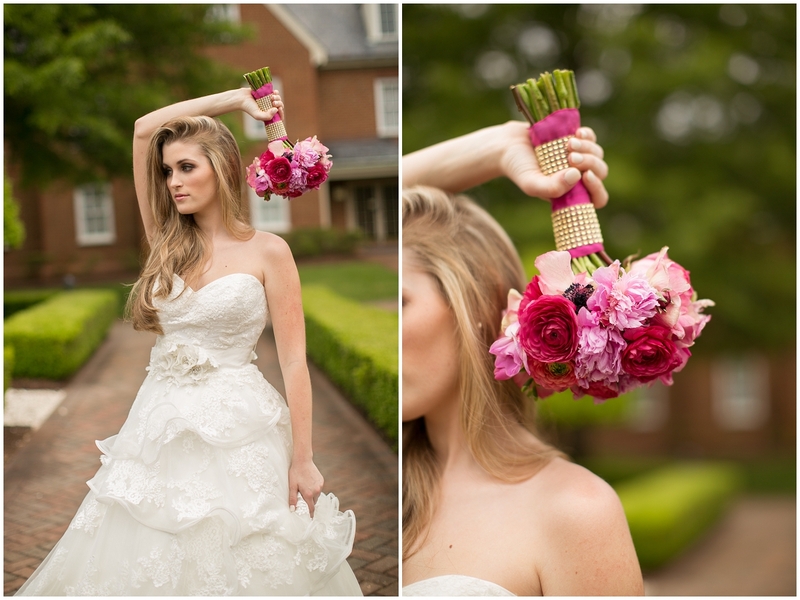 ), the vendors rocked it all out some kind of incredible! 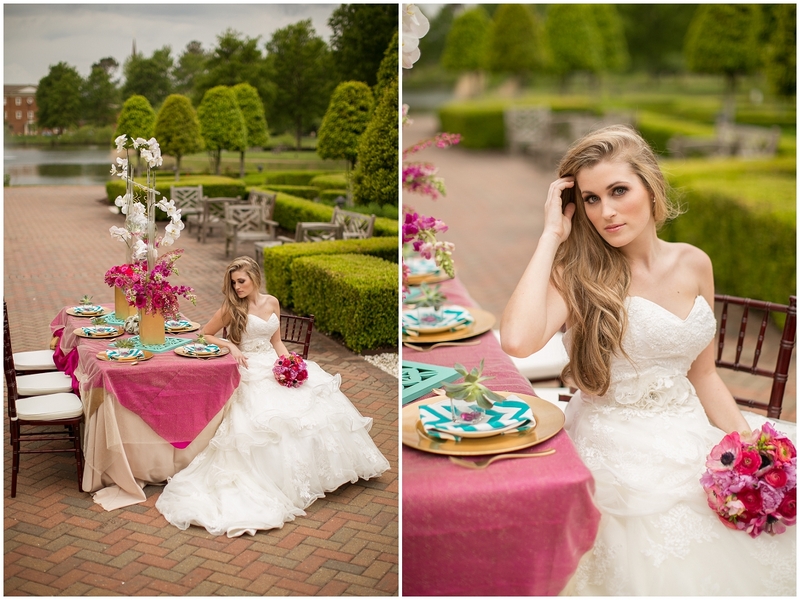 We had rain on and off, over and over, and we still got the shoot not only set up and rocked out but it looked AMAZING with the cloudy sky as our softbox and wonderful element of contrast with the pink, teal & gold! 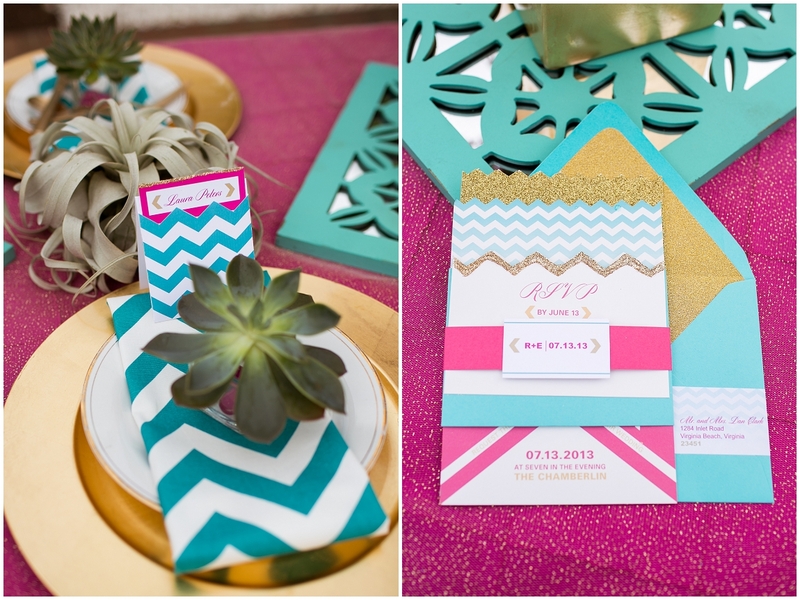 Hannah Hildebrandt is such an incredible event planner that I am sooo glad I found! Our personalities are both very bubbly and we are both so humble and in love with what we do that she is my planner match-made-in-heaven! I love the way she feels about her job and how she treats her clients and that she never takes a job for granted. It gives her such an advantage to be truly personable and easy to be around because when it comes to planning, the kind of brides that I work with want someone with a good heart. Vendors appreciate other nice vendors, too! 🙂 I love her vision and can’t wait to work with her again in the future! We may be doing a style shoot every chance we get! 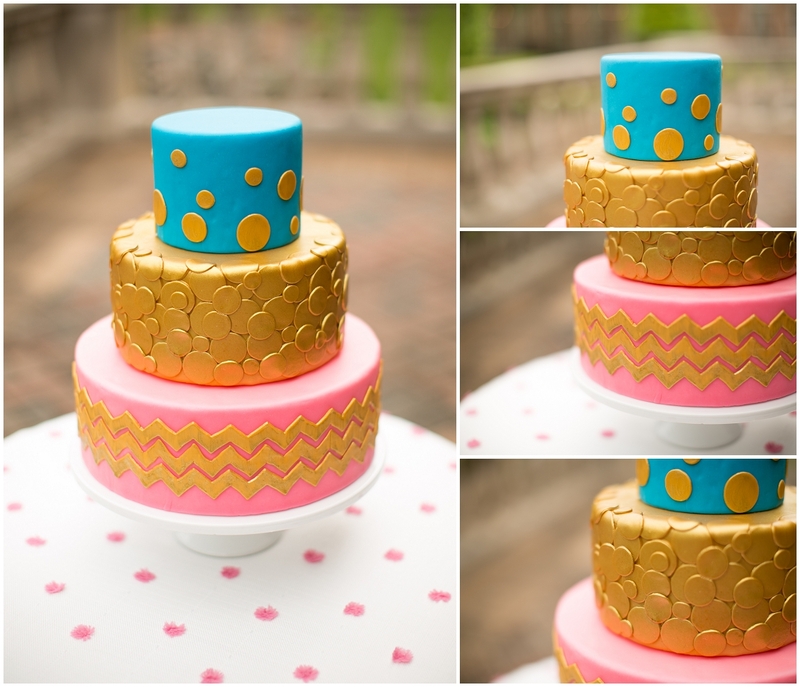 Pink, teal, gold, chevron, floral designs, tablescape, macarons, a bold cake and a gorgeous lace gown from Maya Couture– this is my dream shoot, so thank you all for making it happen! Enjoy the images, they are some of my favorites! Thank you to Heather & Amy for assisting and being there for me! Love you both and appreciate it SO much! Just beautiful! Awesome job Amanda! You are so unbelievably talented! I absolutely love the cloudy skies and the raindrops on the glass things that are holding flowers! Amazing work! Amanda! Thank you for your super sweet words, they really mean the world to me 🙂 Im just glad the feeling is mutual! Im so lucky to work with someone who is so talented!